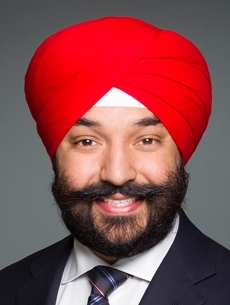 Minister of Innovation, Science and Economic Development Navdeep Bains has already been handing out grants from the revamped Automotive Innovation Fund. The Government of Canada, citing an internal communications error, says it significantly overstated the amount of conditional grants that will be available to automakers over the next five years. A pool of $500 million will be available via the Automotive Innovation Fund through 2021, a spokesman at the Ministry of Innovation, Science and Economic Development said Friday in an interview. On Wednesday, the ministry had said the amount will be $500 million annually, or $2.5 billion in total. Automotive News Canada and other news outlets were provided with the incorrect figure earlier this week, the spokesman said. The federal Liberal government has implemented changes to the Automotive Innovation Fund that now allows automakers, suppliers and automotive research and development companies to draw conditional government grants that do not require repayment.